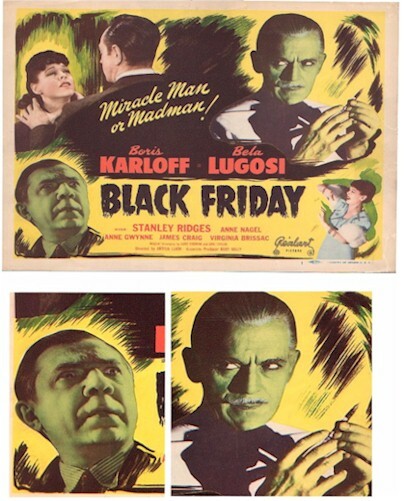 This is the 1948 release of this horror classic starring the two undisputed Kings of Horror, Boris Karloff and Bela Lugosi !! This was an incredible pairing of these two immortal legends. The artwork on this Title Card is spectacular as you can see!! Excellent condition. This title card release is considered to be superior to the 1940 release.